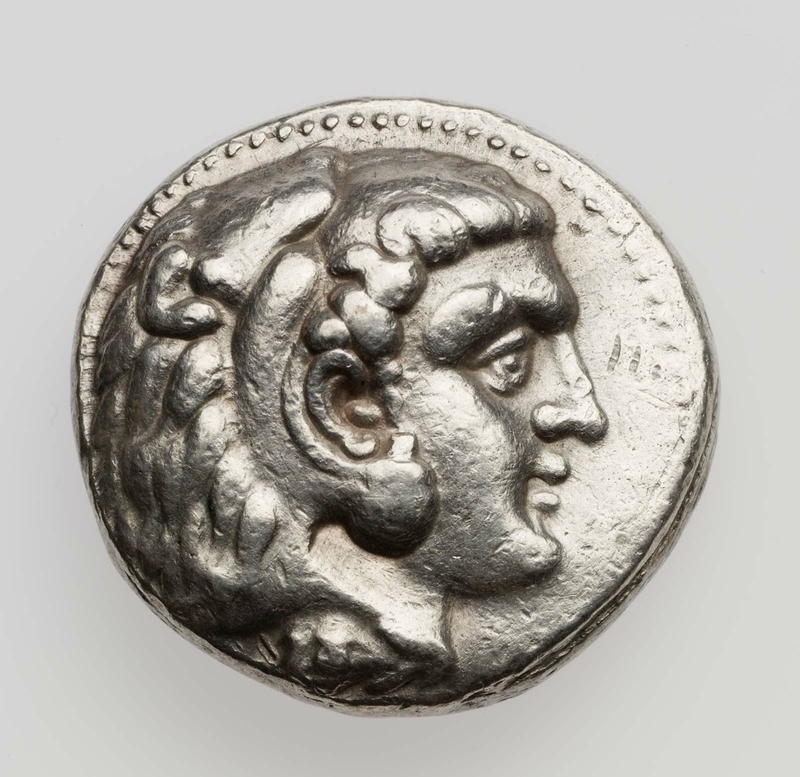 Obverse: Head of Herakles wearing lion-skin right. 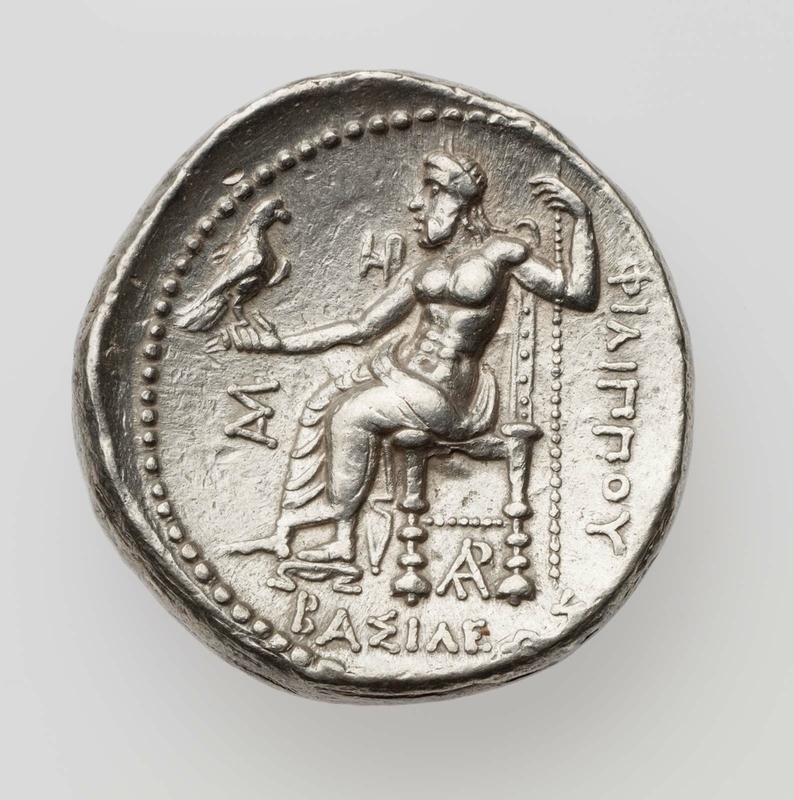 Reverse: Zeus seated on throne left, holds scepter in left hand, eagle on right hand. Monograms in field at left, center, and below throne. Inscription in Greek at right downwards and in exergue.